PDF. 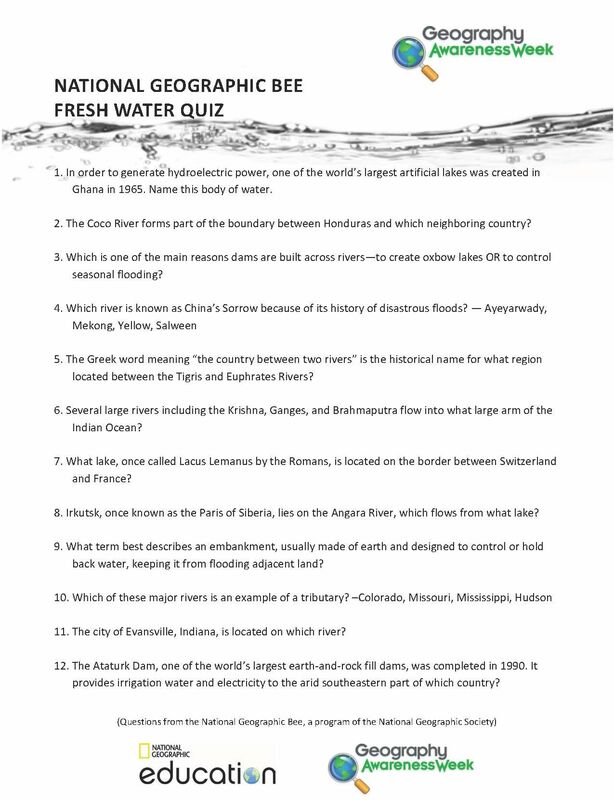 Quiz questions about cultural and environmental aspects of freshwater around the world. This resource was developed for Geography Awareness Week 2010. Each third week of November, students, families, and community members focus on the importance of geography through events, lessons, games, and challenges; and often meet with policymakers and business leaders. Visit the Geography Awareness Week website to find out more about this program.